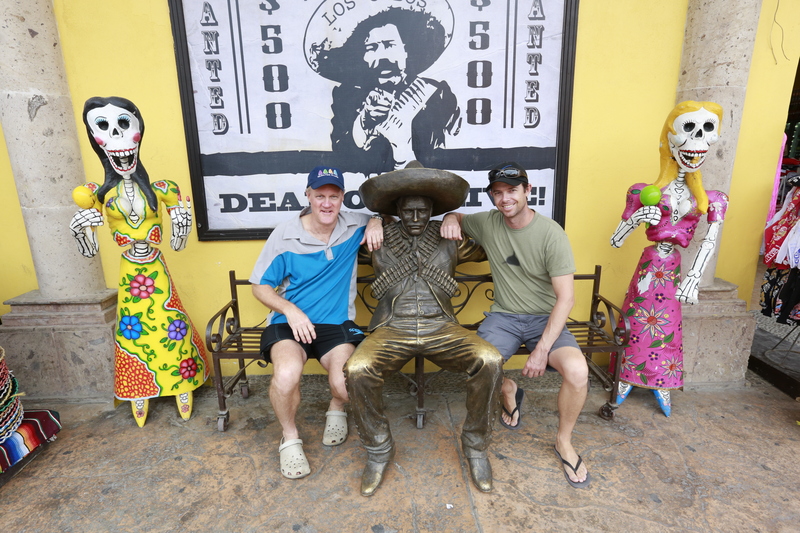 We landed in Cabo San Lucas after a thirteen hour Qantas flight, a four hour stopover in L.A and another two and a half hour flight via Alaska Airlines to Cabo. 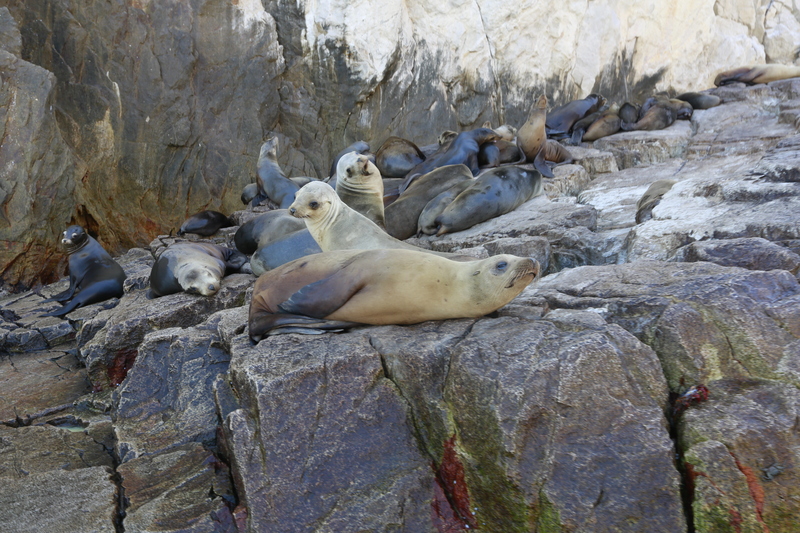 We had booked in for a three day diving package specifically to see the Sea Lions, as there was a Sea Lion colony there. 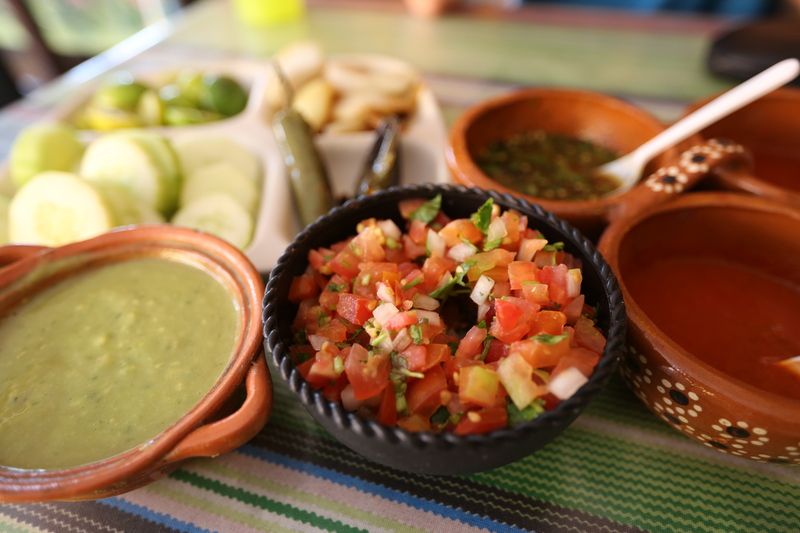 My first impressions of Mexico really threw me. 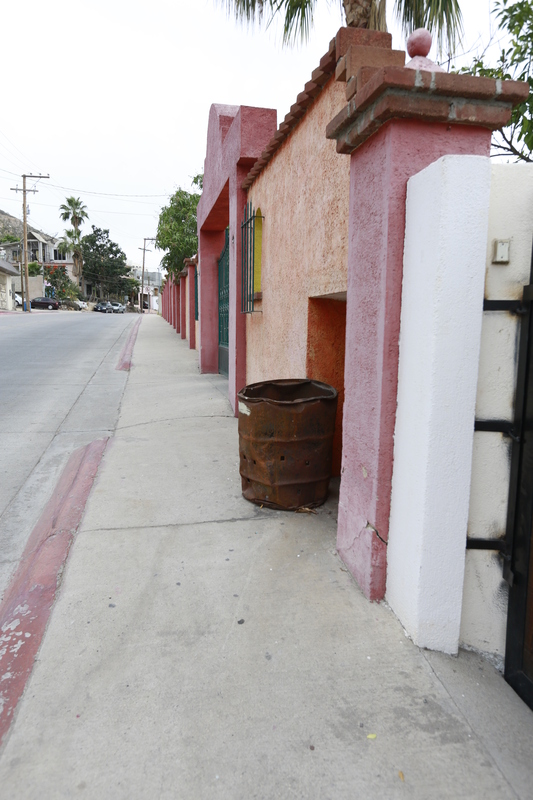 Without being rude I had this perception of Mexico being dirty, quite poor, stray dogs roaming the streets and a bit dodgy around town. 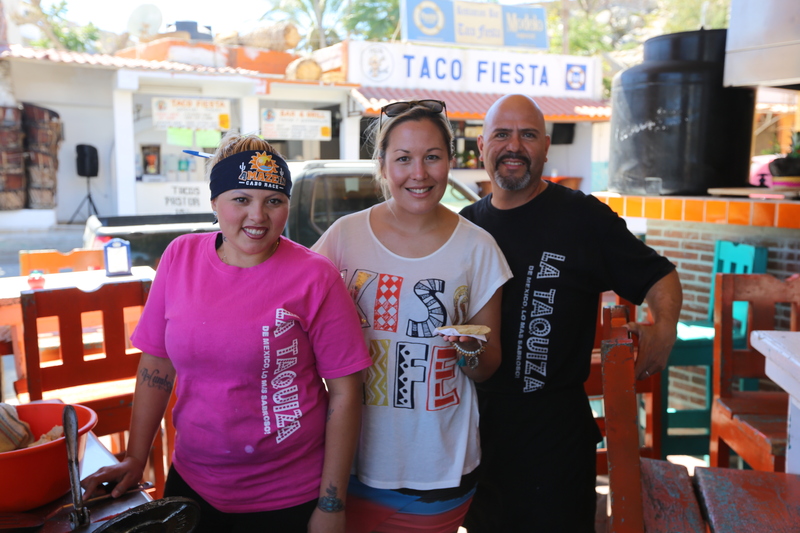 Cabo San Lucas known as the party town was completely the opposite of that. The streets were very clean and always swept and maintained, the dogs looked healthy and the local restaurant owners seemed to leave food out for them but most of them had owners. The men were far from what I had thought and were actually very sweet and lovely. 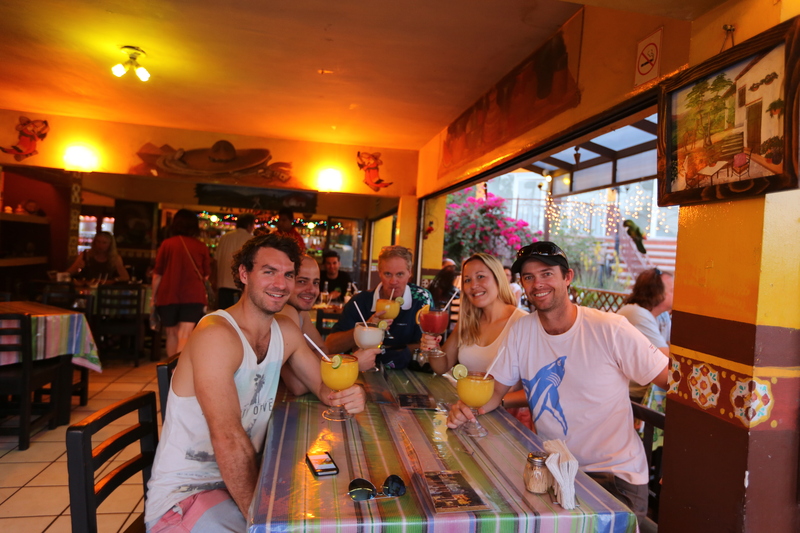 We encountered quite a lot of Americans who mentioned they frequent Cabo annually, a couple who had been doing it every year for twenty five years. 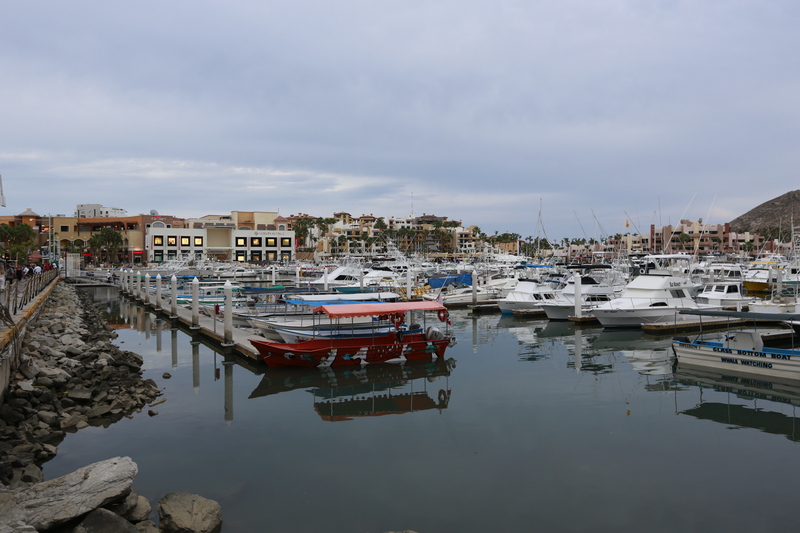 There is a lot of money in Cabo with many celebrities such as George Clooney and Jennifer Anniston staying there. Some huge mansion protrude out of the mountainous terrain in lovely terracotta colours. Mexico reminded me a bit of the Galapagos with its dry, baron land and sparse bushes and cactus. 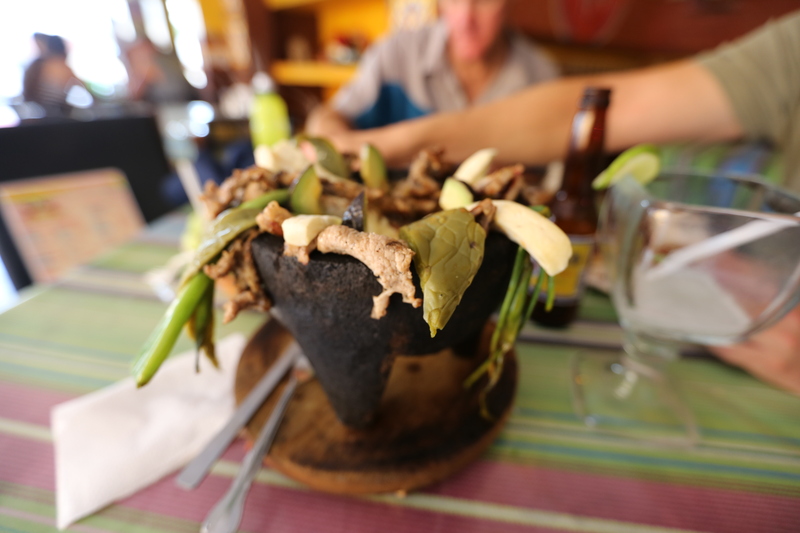 Cabo has really changed my opinion of Mexican food, and I am wondering what the heck I have been eating all my life! 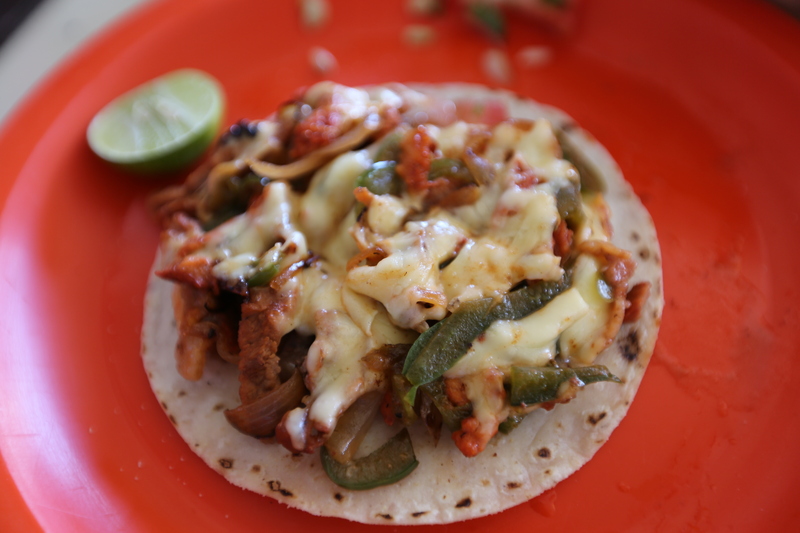 I even got invited into one of the kitchens and shown how to make tortillas from scratch and then tortilla chips! It was excellent! Nick and I had a massage which was more like an oil rub, only to find out later that the massage parlours on that particular stretch were happy hour massages. Hmmm that explains a lot. Just as well Nick didn’t look too happy when he finished his! We had a great night out when the rest of the gang showed up, on cheap delicious cocktails and the boys got up to all sorts of trouble as it was also Spring Break and the town was overrun with young babes in bikinis. 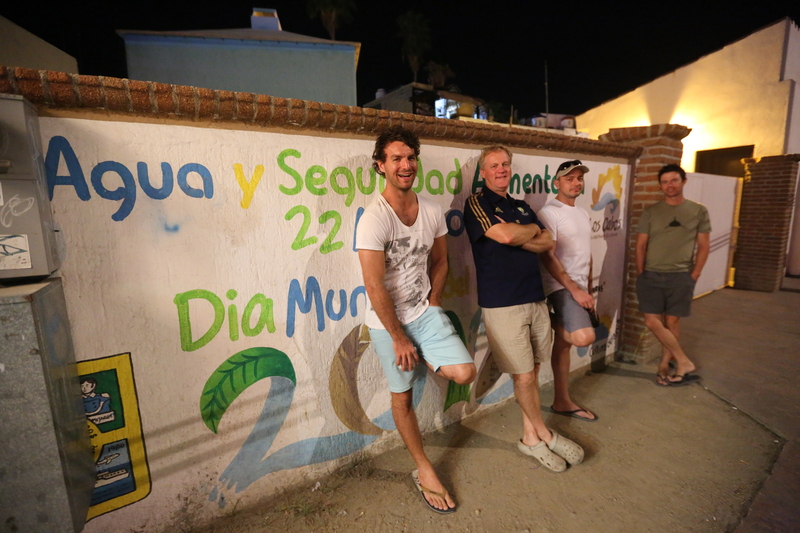 Then came the Cabo diving. I’ll try to just sum it up simply by saying it was a massive let down and a big fat B for boring! In fact it made the Tweed river in Australia look like a good dive site it was that terrible. We only got to spend about a minute with seven friendly Sea Lions who were playing in front of us before we were led away to look at some tropical fish and rocks. So much for spending heaps of time with the Sea lions.Sure there were some Giant Moray eels which were cool and a baby Sea Horse, but that was it, we weren’t allowed to dive without the guide, and weren’t allowed to go deeper than fifteen metres, and we had to stay two seconds swim away from the guide the whole time, who kept asking us if we were okay about every minute which was really irritating! It was that bad that Nick K. and I actually forfeited our last days diving even though we had already paid for it and rather spent it exploring on land instead. 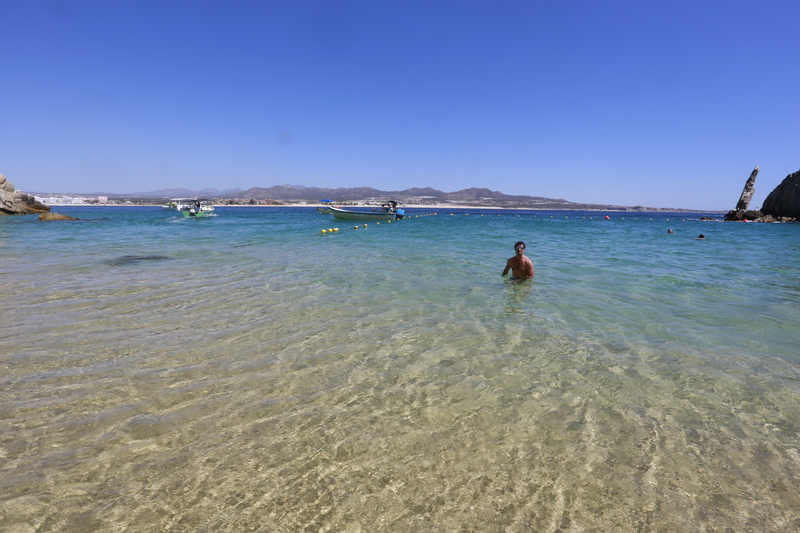 We took a day boat out to Lovers beach by the Sea Lion colony and it was absolutely stunning, I was almost willing to jump in in my underwear as I hadn’t bought my swimsuit, it was just gorgeous! 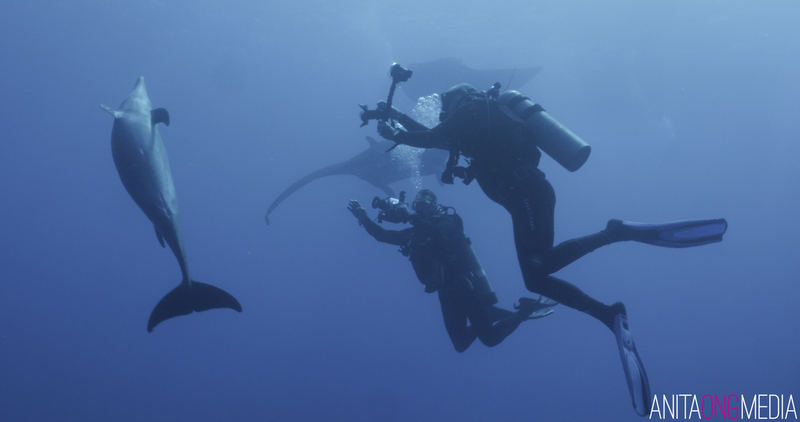 We were amped to leave for the Archipielago de Revillagigedo on the MV Sea Escape and do some real diving. On the twenty four hour boat ride out to the dive sites we enjoyed having the time to set up our cameras and gear leisurely and relax with some beers in the sun on the top deck. 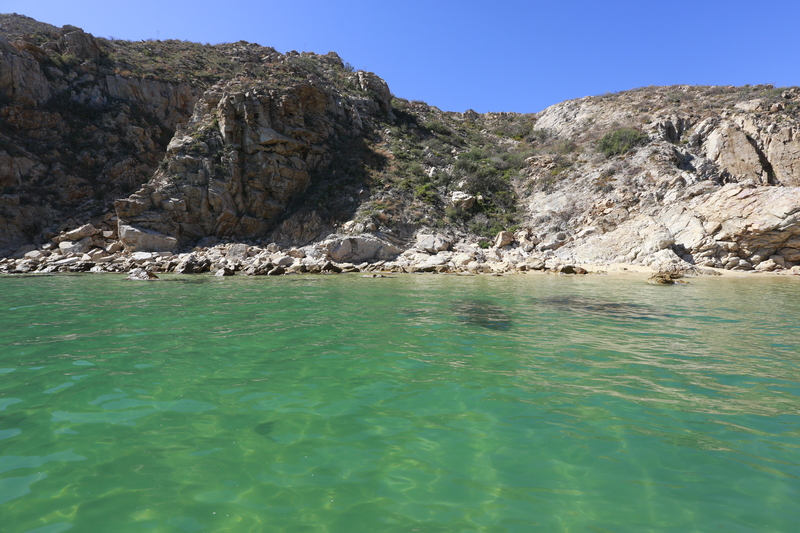 Our long anticipation of our first dive at San Benedicto was soon to be turned into frustration and anger as we were told the compressor was broken and that the spare compressor would not do the job. 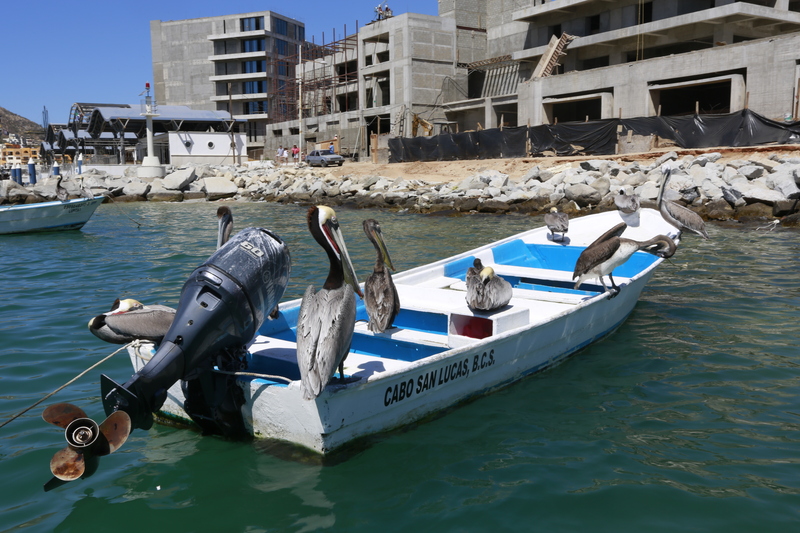 To make matters worse the tanks had not been filled before departing Cabo San Lucas like we had thought, so we all had empty tanks. As a possible two dives on day one soon became one dive, the crew set off to a neighbouring boat to fill the tanks on their compressor, and the mood became sombre. 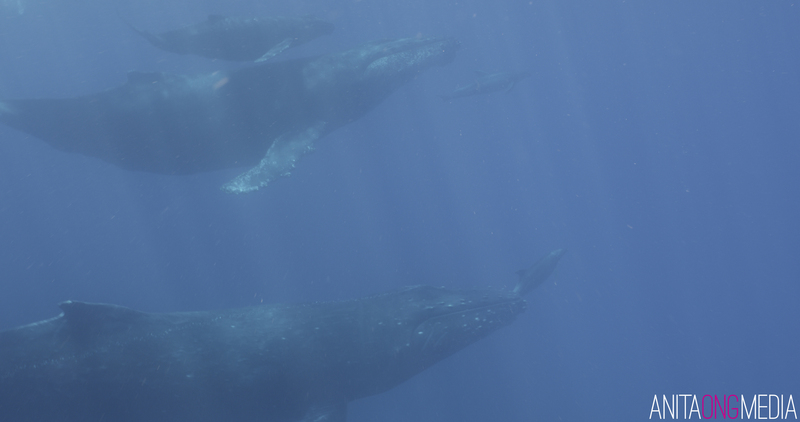 To make matters worse we watched as dozens of sets of Humpback Whales breached and tail slapped in all directions around us, and divers from other boats surfaced screaming with joy and high fiving each other after seeing them underwater. Amazing dive site with a lot of potential. Within twenty minutes of our first dive of the trip I had seen two large Galapagos sharks, several large Hammerheads, some coming in very close to me, and getting cleaned, and believe it or not a beautiful Tiger shark! Certainly the best check out dive I have ever had and certainly cheered up the moods on the boat due to the compressor. Seeing the Tiger shark was surreal and I managed to get a quick video of it as it turned away from me and swam away. Similar to the Galapagos it was raining with small fish, and we also saw some brilliant Moray eels and impressive Trevally. 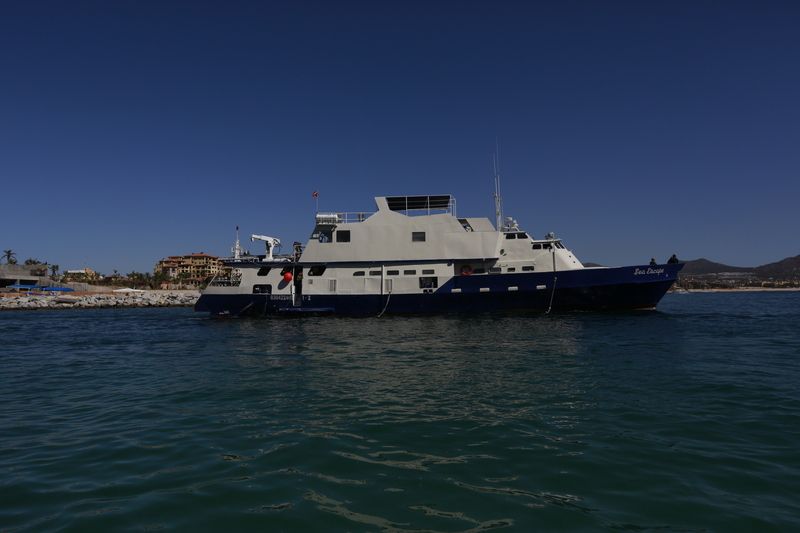 Over the course of the trip we did The Canyon a couple more times and saw beautiful big Trevally feeding, Giant Moray eels, more Hammerheads, Silky sharks and Galapagos sharks as well as White tip reef sharks and even a couple of giant Pacific Manta rays. The current usually moderate to strong here, the site shaped like a horse shoe gets down to about thirty metres at the deepest cleaning station and has a rocky bottom with sandy valleys. 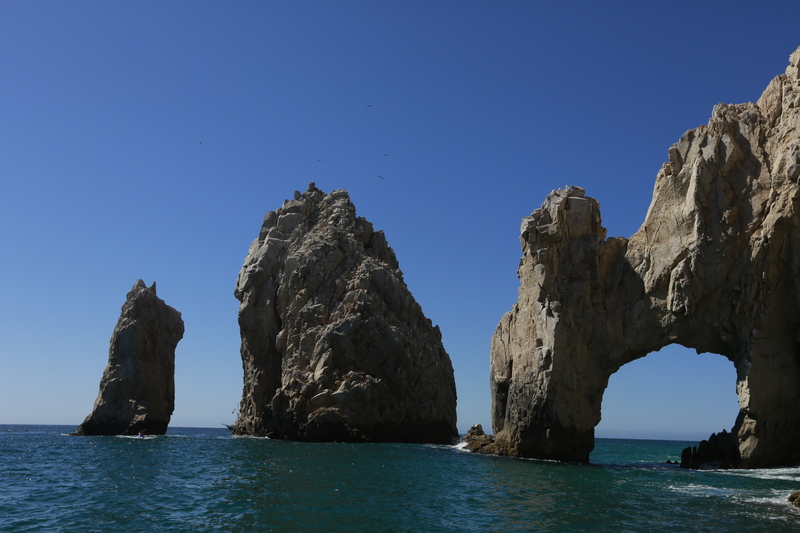 Rocka Partida is a pinnacle that extends out of the water and drops off to about eighty metres on one side and one hundred and twenty metres on the other. The visibility was insane! About fifty metres and beautiful blue water…that kind of perfect fake blue that you think Photographers photoshop onto their photos. Along the sheer face of the pinnacle you can see groups of White tip reef sharks stacked on top of one another huddling in large holes in the rock, valuable real estate for resting! The water was littered with fish and there was a moderate current. We did a few dives here and the best was the 5pm dive where it was starting to get dark and the sharks started coming in. Galapagos, Silky sharks, Silver tip sharks and Hammerheads. There were plenty of large pelagics like Wahoo, Trevally and Jacks. We drifted off into the blue on the second half of dives and saw a school of a few hundred Hammerhead sharks. We were supposed to spend another day here but due to tank fill issues we had to follow the Sea Escape’s sister boat so we could ensure tank fills. Maximum depth was thirty three metres and Maximum time fifty minutes. We got to go out in the boats looking for Humpback Whales and Dolphins. 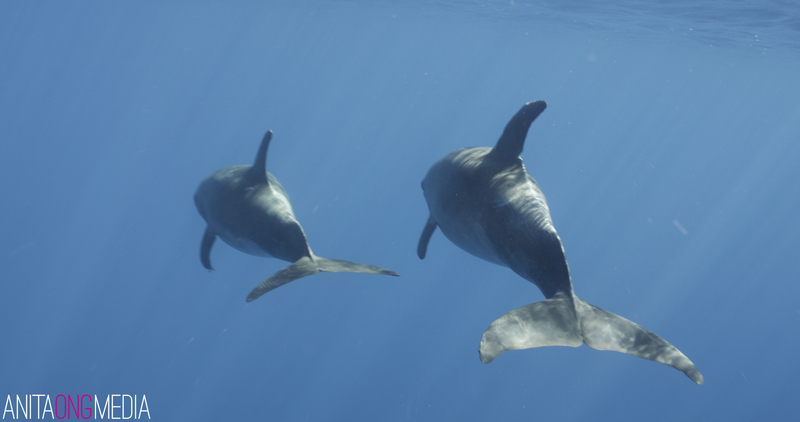 We saw quite a few Humpback whales and a pod of Dolphins and decided to jump in. Most of the group went after the Whale but myself and another diver swam to the Dolphins. There were five Dolphins, one really big pregnant one, and they were so friendly! They came by again and again and were showing off, chattering their teeth and coming by at the camera. Every time I beckoned them with my hand to come over they would come back to see me. It was so amazing. 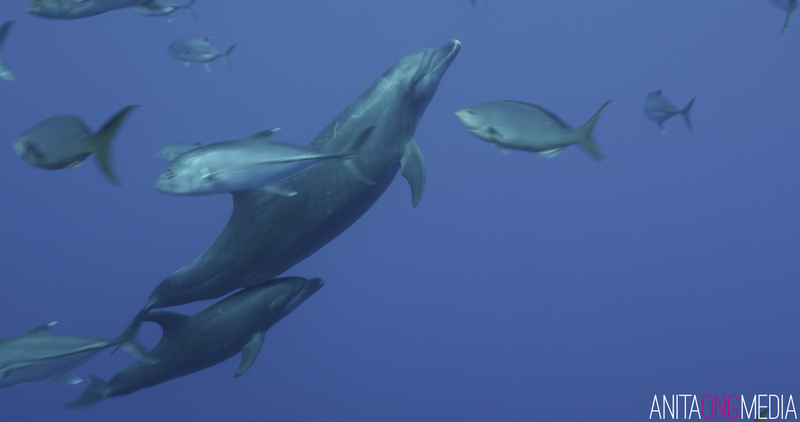 It just felt like I had stepped into a documentary about Dolphins. The water was crystal clear so it was perfect for video. I couldn’t have been happier! Back to the main boat to let the other group have a turn and there was still some space on their tender so Nick and I got to go again. We headed out and saw two adult Whales who were having a tail slapping contest fairly far away. We jumped in and swam our arses off to sneak up on them but they took off. 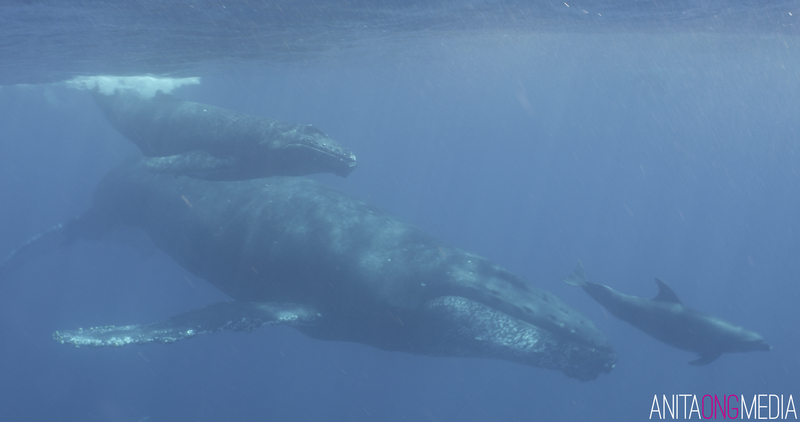 By pure luck we managed to bump into another two adult Humpback Whales with baby calf whilst we were still in the water. 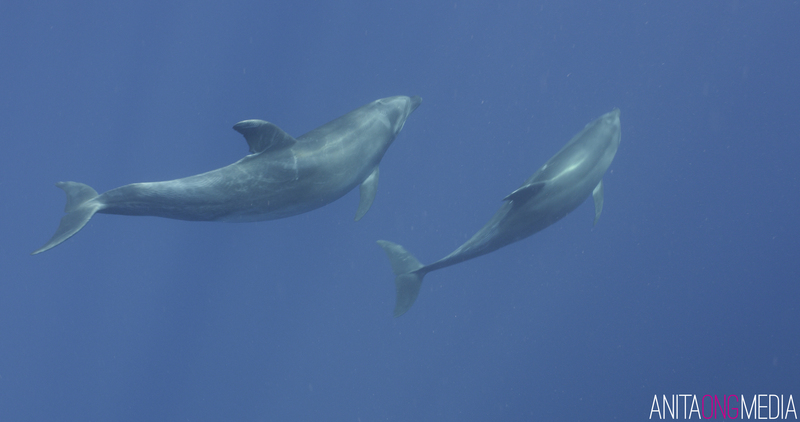 Two dolphins were riding the underwater pressure wave on the adult’s noses which were just incredible to see. They came quite close to us and all the photographers got some lovely footage and photos of them. The calf was tiny and the Dolphins rubbed themselves up against the Humpback’s faces. 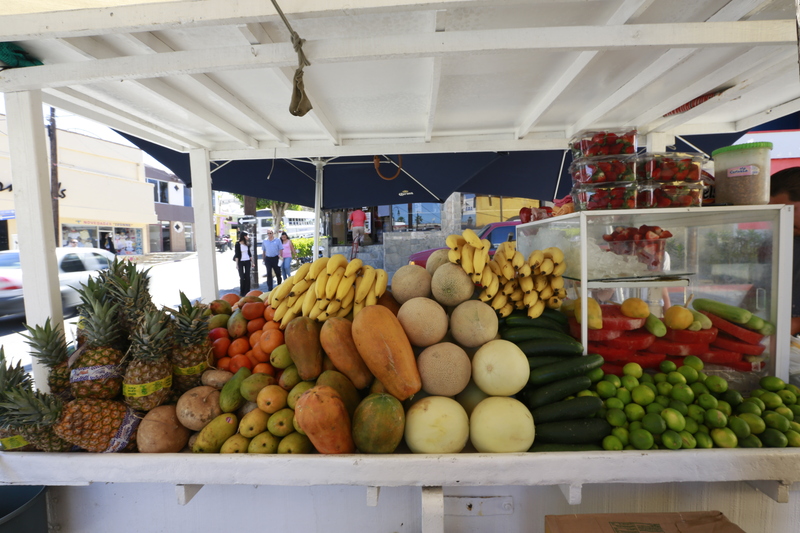 Even with a 15mm lens I was struggling to fit all the action into the frame. What a brilliant experience! We were all pumped after the day of amazing Whale and Dolphin encounters. 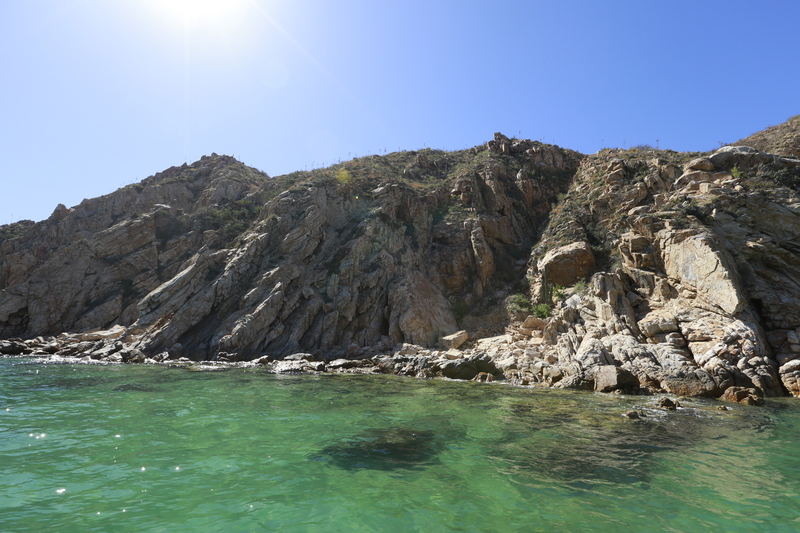 This dive site had interesting scenery with rocky outcrops and almost man made ledges with Tropical fish, cleaning stations, White tip Sharks and a few Hammerheads. There were some nice swim throughs that Nick enjoyed going through in Sidemount. I sat out the last dive at O’Neill as my arm was really hurting from the marathon swim for the Whales and Dolphins, due to dragging my camera along the surface. The guys that did the dive said there was an insane current and they went up a chimney style swim through. 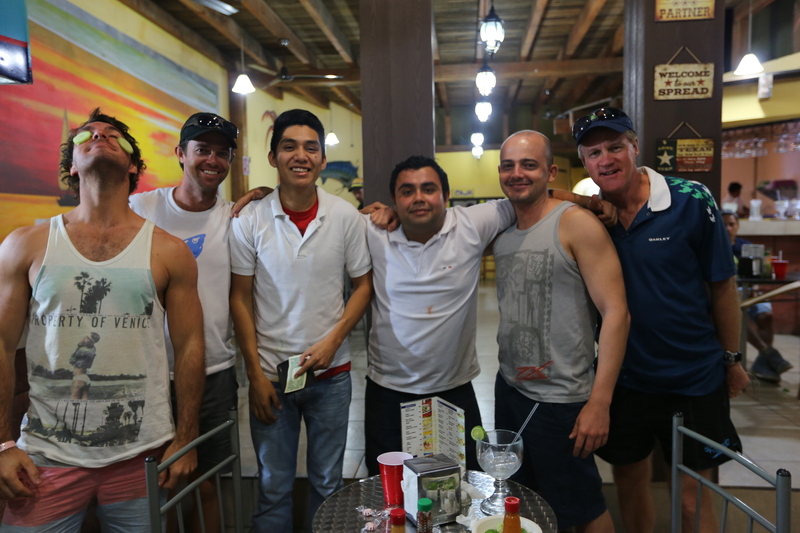 They saw Galapagos Sharks and a Pacific Manta Ray. I was glad they had a great dive but also glad I sat the current out as was shattered after all the swimming. The Boiler is a large mountain with rigid edges that drops down to about forty five metres and has a few ledges on the way back up to three metres. It is known for the giant pacific Manta Rays and Dolphin encounters. We had epic diving at this site with pods of Dolphins including a mother Dolphin showing her baby how to hunt by chasing Jacks. 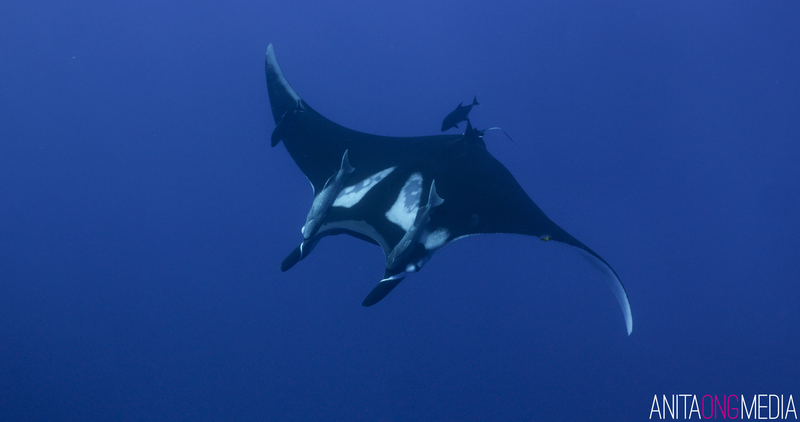 We had up to eleven giant Pacific Manta rays on any given dive who were ultra friendly and came so close, hovering above us and in front of us, and looking at us with their big soulful eyes. They were simply stunning and we watched Manta trains form, acrobatics and had a ball swimming with them. 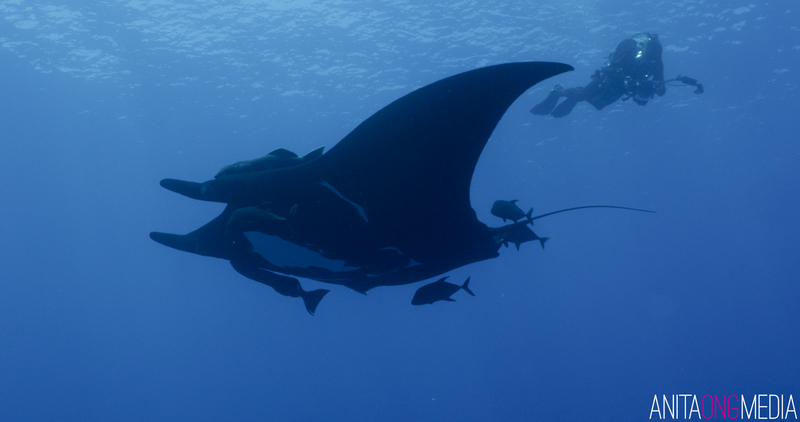 My favourite were the all black Mantas who looked spectacular against the crystal blue backdrop. The Boiler had mild to strong current at times, which could be avoided behind one side of the rock. A lot of the action was out in the current though and on one dive I swam out into the blue to film a pod of Dolphins and got carried quite far out. I surfaced and got a tow back to the rock and continued diving. 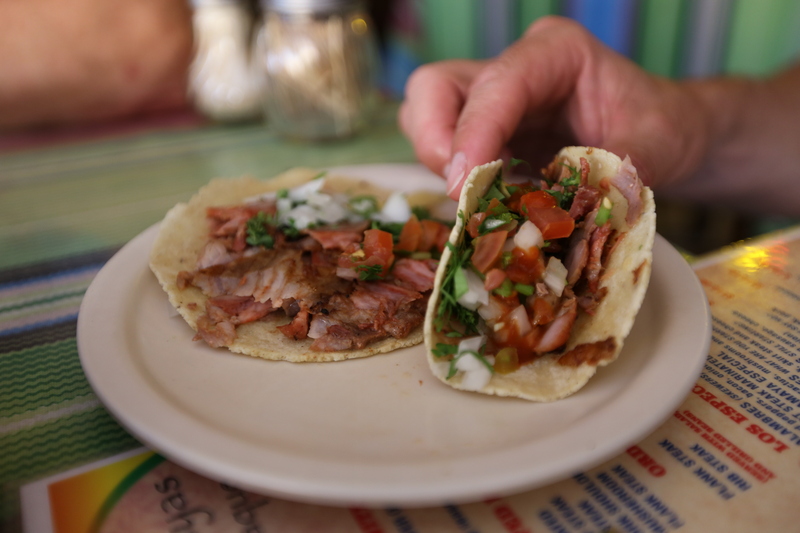 There were large schools of pelagics here including Jacks and balls of thousands of Bonito. The Trevally were the biggest I have seen and there were plenty of tropical fish. One evening we noticed a Silky Shark swimming behind the boat. It seemed to hang around so Nick K. Nick R. myself and another diver decided to get in to film it. As I wanted to get in quickly I just jumped in in a bikini and was quite surprised at how warm the water was. 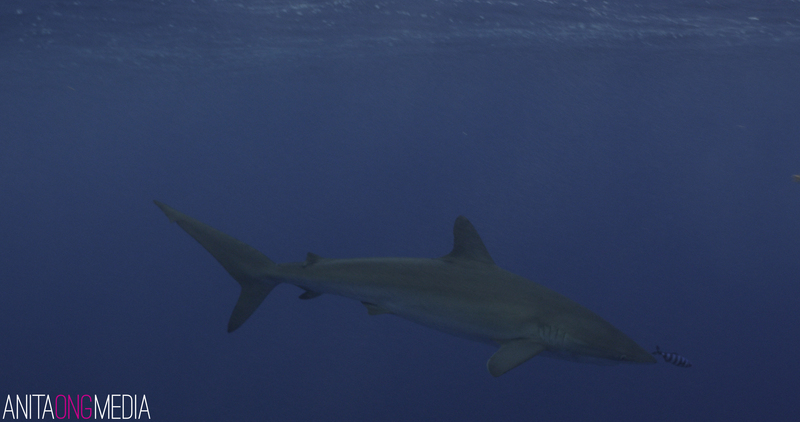 It wasn’t long before another Silky Shark turned up and they curiously began circling us. We spent about thirty minutes in the water with them. I’ve never snorkeled with sharks before but it was really fun. Nick R. and I were left in the water with two Silky Sharks, the current had started to pick up and we realised we had drifted some distance from the boat so started to boost it back. We were conscious of the fact that we were thrashing about with our fins on the surface so checked our backs on the swim back to the boat. It was super fun and a great experience I’d love to do again. After our last dive Tom lead the way for jumping off the top of the boat. Nick R. and myself who are scared of heights thought this would be fun until getting over the ledge with Tom who had already taken the plunge. But alas after a big countdown we plucked up the courage and bombs away! It was heaps of fun and a great way to end the last of our water adventures. The liveaboard was a very loved boat which needed some TLC. When comparing it to other liveaboards I would personally probably not frequent on it again due to several issues. It was priced accordingly but for such a big trip from Australia next time I would pay a bit more for a little more comfort but that’s just me. For divers coming from Canada or America where it’s a quick three to four hour flight over the trip is a cheap and cheerful one and this may suit them. Luckily the animal encounters themselves were spectacular, and the crew worked really hard and made the absolute best of the previous generation of equipment that their company provided for them to do their job. This made up for any deficit in my expectations. One thing is for sure I will definitely be back to dive the Archipielago de Revillagigedo again. It is right up there with the best diving I have ever done.